You take your car for a tune-up on a regular basis to avoid problems, so shouldn’t you be caring for your smile the same way? Visiting your dentist on a routine basis for preventive cleanings is a critical part of your dental care plan. In most patients, these simple and painless visits are recommended every six months. 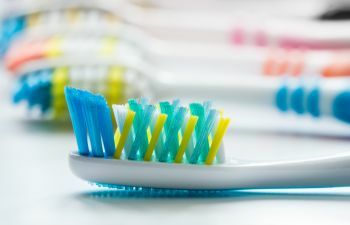 It’s true that diligent brushing and flossing at home goes a long way towards optimal oral health, but there are certain elements of your smile that can only be addressed with a professional dental cleaning. Only a cleaning from your dentist can effectively remove stubborn plaque buildup once it has hardened. This is the harmful substance that can cause damage to your teeth and gums, and even lead to consequences within your overall health. Most importantly, your routine dental visits give us a chance to catch dental problems early, before they cause pain or other threats to your smile health. In its initial stages plaque is soft, sticky and colorless substance that is easily removed with your toothbrush. Unfortunately, plaque builds up quickly throughout the day and doesn’t always get removed before it hardens into stubborn tartar and calculus. At this stage, a professional cleaning is required to remove it. If not, the bacteria-laden film can lead to tiny holes in your teeth (also known as cavities). Periodontal disease is a common, yet serious oral health condition. It is also caused by the plaque buildup along your gum line and tooth roots. Without routine cleanings, plaque can accumulate and produce harmful toxins that irritate the gums and cause inflammation and infection. Gingivitis, the first stage of gum disease, is easily reversed. However, if you’re not seeing your dentist on regular basis, the infection may progress enough to destroy the gums and underlying bone and cause tooth loss. No one wants bad breath, which is called halitosis in the medical field. Poor oral hygiene is the leading culprit to persistent breath odor. The best way to fight this embarrassing condition is to let your dentist give you a thorough cleaning twice a year. Your dentist may even notice evidence of gum disease or dry mouth that is causing your halitosis. Your whitening toothpaste can only do so much to remove your stubborn tooth stains. If you drink coffee or red wine or have a smoking habit, a professional cleaning help your smile regain brilliance before the stains set into the deeper layers of your teeth. The truth is, routine dental care benefits your smile as well as your overall health and wellbeing. There is a strong link between your oral health and your body health. Therefore, following the recommended guidelines of getting regular dental cleanings throughout the year can make a big difference in how you look and feel. How long has it been since you let a dentist clean your teeth? Call Mitzi Morris, DMD today!